The statin or cholesterol reduction drug push has been tagged as the biggest medical scam of all time by medical practitioners who know better and are not afraid of being sued or harassed by drug makers. But this incident was from Merck’s attempt to ride the coattails of Pfizer’s earlier success with Lipitor, which recorded sales revenue exceeding 140 billion dollars until its patent expired in 2011. 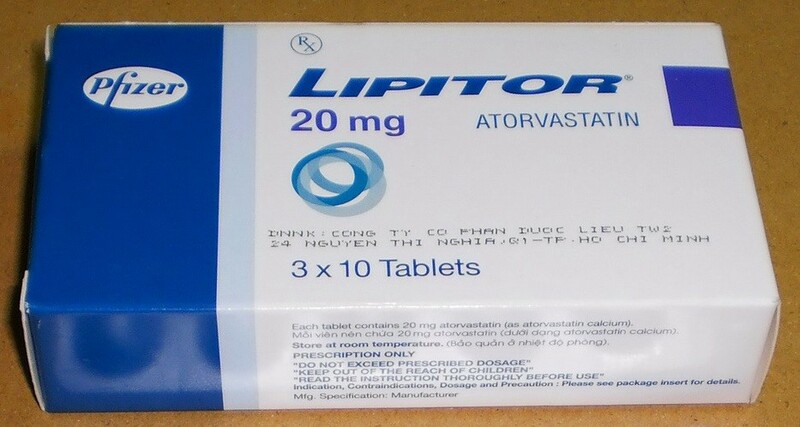 The generic spin-off of Lipitor marketed currently is Atorvastatin. When pharmaceutical companies are not protected by law from injury lawsuits, the way vaccine makers are, we often look to the court system for some sense of justice. It usually occurs after a grassroots tide of lawsuits accumulate. This is an excerpt from that part of the document that lists all the adverse reports prior to the two newly added ones and since marketing had begun for Lipitor. Adverse reactions associated with Lipitor (…) anaphylaxis, angioneurotic edema, bullous rashes (including erythema multiforme, Stevens-Johnson syndrome, and toxic epidermal necrolysis), rhabdomyolysis, fatigue, tendon rupture, fatal and non-fatal hepatic failure, dizziness, depression, peripheral neuropathy, and pancreatitis. (…) reports of cognitive impairment (e.g., memory loss, forgetfulness, amnesia, memory impairment, confusion) associated with statin use. These cognitive issues have been reported for all statins. Comment: The last item, “cognitive impairment,” is the result of lowering cholesterol enough to rob cholesterol from brain cells and the nervous system where it’s needed. These are both strong indicators of late onset diabetes or diabetes 2. And the two items mentioned earlier, peripheral neuropathy, and pancreatitis, are manifestations of unabated diabetes 2. The plaintiffs assert that this risk was known prior to 2012, and prior to that is when most of the plaintiffs had been placed on statin drugs, including Lipitor. That’s the crux of the case. With several study reports indicating increased diabetes, especially among post-menopausal women taking Lipitor or its generic form Atorvastatin, garnering a large amount of plaintiffs turned out to be easy. By 2015 there were close to 3,000 plaintiffs involved in the class action suit against Lipitor for failure to warn of diabetes 2 as a potential outcome of taking their statin drugs. Unfortunately, what looked like a slam-dunk turned out to be a rebound for the other team representing Pfizer to fast-break the ball down court for an easy lay-up. Actually it was up-court. In the Charleston, SC January 2017 MDL (multi-district litigation) hearing U.S. District Judge Richard Gergel dismissed almost all of the 2800 cases being heard in his court due to insufficient evidence of causation. The warning shot came several months earlier in a painfully parsed document that supported the defendant Pfizer’s claim that two plaintiffs’ expert witnesses reports were seriously flawed and should be dismissed. One of the other two studies was considered inconclusive and open for debate, while the most critical study and cross-examination of that expert witness determined the fatal blow. The court considered the evidence for general causation was sufficient for Lipitor dosing above 80 mg only. And almost all the plaintiffs had been taking Lipitor with well under 80 mg dosages. Without substantially established causation there could be no case against Lipitor. It’s unfortunate that legal proceedings are so incredibly complex and understandably take so long because so much nomenclature is parsed in areas that rely on experts who can be as much on the wrong trail as anyone. There are arguments in this class action suit that propose only high glucose levels determine diabetes type 2, insulin resistance is not the same. Yet diabetes 2 is defined as, and is the result of, insulin resistance. This is how one of the epidemiological studies offered by the plaintiffs was marginalized successfully by Pfizer’s counsel and expert witnesses. This focus went to cases of raised blood sugar in Lipitor studies, which were conveniently lower in number than insulin resistance percentages. Remember, the FDA updated its warning on Lipitor in 2012 to include “Increases in HbA1c [Hemoglobin A1C] and fasting serum glucose levels have been reported with HMG-CoA reductase inhibitors, including Lipitor.” These are usually strong diabetes 2 warning signs. In case you’re curious about natural alternatives for heart health, information under the sub-topic “The Pauling Therapy: Simple, Effective, Inexpensive, and Safe” in this article may prove helpful. A Legal Set-Back to Be Overcome? Unlike many injury cases, these more complex medical study and expert reliant proceedings can be tediously drawn out for quite some time. One could have hoped for choosing victims with other side effects from Lipitor. But diabetes 2 risk subjects created the largest pool of plaintiffs, and most of Lipitor’s other side effect warnings had become labeled prior to Lipitor patients’ developing diabetes 2, making claims of withholding evidence or insufficient warning irrelevant for the earlier side effects warned. Despite this seemingly enormous setback, it appears the Schmidt Firm, a national law firm, is taking on more Lipitor class action participants of different types, even though this firm is the one that broke the recent early 2017 news of all those plaintiff claims being dismissed. Perhaps they have a new approach to remedy this recent summary ruling or are taking it to higher courts. Contact this firm here. If jury duty is considered a civic duty, one could consider the same is true for engaging in litigation against the pharmaceutical industry. Other types of suits, involving statin drug adverse effects, against manufacturers can be perused here.